This totally handmade natural hemp jute rug use for covering floor. We are engaged in manufacturing and supplying Jute Hemp Rugs, which display innovative geometrical designs. 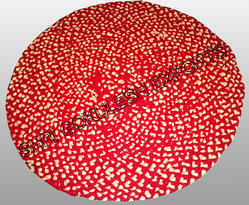 We are emerged in offering premium quality Round Floor Rug. 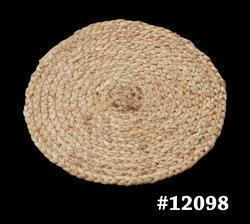 Natural jute braided round rug with Printed border and on back heavy cotton backing.